look 29: new year. new focus. new outerwear. 2019 has arrived, and these first few days are always the perfect opportunity to pause, regroup, and adjust your priorities for the months ahead. there’s soooo much i plan on doing this time around… but the big question is: where do i start? fall focus: midnight hues with nautica x amazon fashion. honestly, it doesn’t matter where i am or what’s on my plate — life is always better to me in the fall. it just puts me in the best mood imaginable. this month, i’ll be linking up with my friends at nautica to slip into that fall frame of mind, and to kick things off, they’re helping me get my color palette in the perfect shape. brand spotlight: panorama festival with express men. ah, festival season. that wonderful time of year when hands are in the air, the vibes are always right, and glitter, kimonos, & floral prints are the new black. i hit panorama fest this past weekend, and naturally, i had no choice but to bring my a-game in the style department. thankfully, my buds over at express men made that (very) light work. brand spotlight: v-day & chill with express. in case you haven't noticed yet, love is in the air again. yep, that's right—valentine's day is just around the corner. due to my [very single] relationship status, i'll be keeping things super chill this year, but i still plan on pulling out a fresh 'fit for whatever i get into. click the link below to peep three cupid-approved v-day outfits i put together with express. brand spotlight: party-ready with express. the last two weeks of the year are all about turning the festive vibes up to the max. and whether you're hitting the club, house-partying it up, or spending quality time with the fam, your go-to secret weapon is the slim-fit suit. i teamed up with my buds at express to show you how, with a little creativity, this style staple can make your party season looks as easy as 1, 2, 3. #myluckyholiday: festive and fresh with lucky brand. without a doubt, the holidays are my favorite time of year. the memories come rushing back, and with them, the urge to create brand new moments with the people that really matter. i teamed up with my friends at lucky brand to give you guys an inside look at a few of the things that make these weeks so special to me. brand spotlight: office party steez with coastal. december's here and the holiday parties are about to start rolling in fast and furious motion. and in case you've been freaking out about what to wear to your office function, don't fret. i've teamed up with my friends at coastal to help you get your looks together and give you a look at their latest eyewear range, the main + central tortoiseshell collection. i'll admit, the weather around this time of year can be pretty brutal in nyc, but every now and then, you get treated to that perfect fall day. the right temperature. a smooth breeze. that lit lighting. and, of course, the chance to ease up on the heavy outerwear one last time before hibernation season officially begins. fall is in full effect, and i’ve been making a list of all the style staples that are mandatory for surviving this special time of year. at the top of my list lies the beloved henley sweater, and my buds at express and i are here to show you exactly how to rock one all season long. fall has always been my favorite time of year—the grey skies, the way that life seems a bit more relaxed, and, of course, the style switch-up. the mock turtleneck will forever be one of my favorite seasonal staples, and i recently linked up with my buds over at express to share three easy ways to rock one this season. in case you weren't one of us who had our calendars marked well in advance, today was the launch of h&m's studio aw/2017 collection. check out some of the pieces i copped from the line, and take a look at my personal picks for what you should get your hands on asap. alright, guys... we're just a few weeks away from the official start of fall, which means it's time to start prepping for that seasonal wardrobe flip. this quick + handy pre-fall trend report will help you get familiar with the key colors, staples, and style hacks that'll be trending in the months ahead. room 726: a j.xyz editorial. while i was in vegas last month, i shot a special editorial in my hotel room, and between taking the styling in a new direction and @avsthtc's sweet camera skills, i think we brought the pieces (and the come-down after a wild weekend in LV) to life in an awesome way. you know how it goes: the weekend comes to a close, the alarm clock goes off, monday returns to ruin our lives once more. this time around, i threw on a comfy combo of pieces and ventured off to start the day. here's how it all turned out. this summer, i've been all about a good statement stripe: horizontal, vertical, (and strongest of all) chevron. i dug this bad boy out of my closet this morning and knew it'd be the perfect ingredient for today's outfit. it's been a minute, i know, but things in my world have finally slowed down a bit, so let's get back to our regularly scheduled programming. i pulled out a new statement-maker this morning and i've been waiting all day to share it with you guys. look 23: playing with the color spectrum. every now and then, you just want to mix things up and have fun with your colorways. the other day, i eased up on the matchy-matchy moments and put together a fresh spin on my usual palette. summer in the city with k-swiss. summer style can get a little tricky... thinking about the weather, the occasion, the mood. i linked up with k-swiss to show you guys how to kick things up a notch this season, whether you're roaming the streets or taking in the view on a sweet rooftop. look 22: red hot for #nyfwm. you know the deal: fashion week requires some statement-making looks. this time around, i had a lot of fun putting together my outfits for the four-day event, but i think this one wound up being my favorite. check it out. #nyfwm spotlight: you as ss18. nyfw:m just wrapped up, and the ss18 collections are looking pretty good. my favorite style moment would have to be the retro vibes that were seeded into the shows—and the street style outside—throughout the event, and you as ss18 brought them to life perfectly. look 21: suited for summer with bar iii. i've really been into suits these past few months. solids, prints, patterns... they're all really amazing tools to have in your style arsenal. i recently teamed up with bar iii to show how to give your summer style a dapper touch, and i'd have to say that this outfit is my favorite from the campaign. the first (official) day of summer... it's easily one of the best dates on the calendar and also serves as the perfect chance for me to finally drop a special project i've been working on over the past four months. check it out. so... i officially believe in love at first sight. i believe because i've experienced it, but maybe not the way you think: it's with a pair sneakers. meet balenciaga's speed trainers. from bold button-downs to tough distressed denim, these fresh statement-makers from ASOS will help you add a little heat to your summer style. sometimes the little details really make a big statement. i copped a few new pieces, and they're decked out with some sweet hardware embellishments: you know, zippers, chains, rings, all the silver works. they really took this laid-back look to the next level. as i start thinking about my #summer17 style, my head's currently filled with visions of breezy button-downs, dope match sets, retro tops, and some sweet suits. 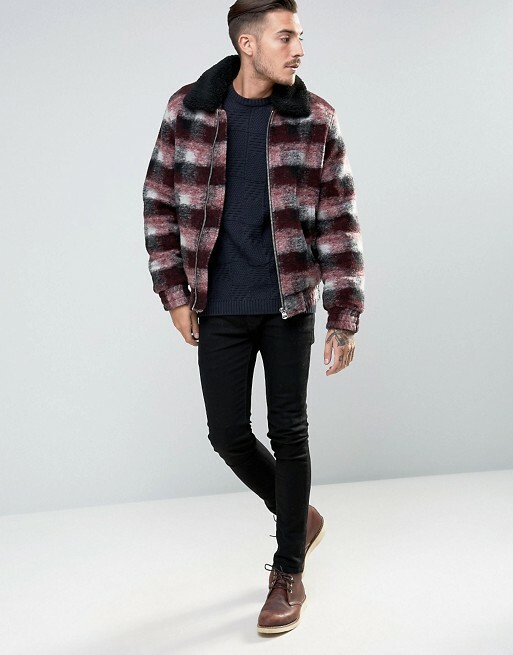 with that said, these bad boys are some of favorite pieces on ASOS right now. look 18: coney island king. i finally got my first taste of #summer17—and it was sweet. i hit coney island yesterday to scout out some locations for a project, and the time by the beach gave me the perfect preview of the season ahead. thankfully, i brought my camera with me. look 17: the makings of a statement piece. you know that feeling when you find a new statement piece and can't help but get butterflies? like, when you slip on an item for the first time and just want time to slow down so you can enjoy it a little longer? yeah, i think i just experienced that. look 16: the sunshine palette. color has always been a big thing for me, especially when it comes to putting a look together. and given all this sweet sunshine we've been enjoying here in nyc, i think this palette is more than appropriate. alright, people, it's time to start spring shopping and, personally, i'm super excited. here are a few of my favorite pieces from asos to help you get started. three ways to wear pastels this easter (and beyond). with easter just a few days away, I thought a little pastel 101 was in order. 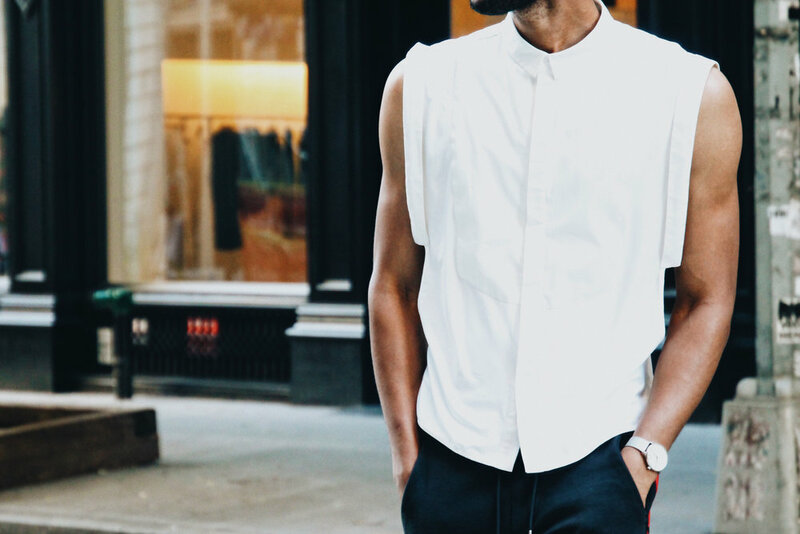 these quick and easy outfits will help you break out your favorite shades all season long. look 15: mother nature's gotcha gotcha. so, after a week of amazing weather, mother nature went and threw a cold curve ball our way. at least i got another chance to break back out this boss coat from maniere de voir. now that the temperatures are feeling right, it's time to make space in your closet for some season-appropriate style staples. check out four of my favorite transitional hacks, all brought to life by timberland. i bought this shearling biker from ASOS a few months ago and never got around to breaking it out. i figured i'd lost the chance until next fall, but thankfully mother nature is just as bipolar as ever. look 13: the layering game, simplified. i think we can finally go ahead and begin our transition toward spring-appropriate threads. the trickiest part always comes down to layering, and i found a sweet in-between piece from maniere de voir. as we gear up for spring here in nyc, we're well-aware that the warm weather is still quite some time away. until then, I'll be breaking out my go-to piece for surviving the last of the winter chill: the hoodie. the first day of spring is almost here, which means you need to start thinking about that upcoming wardrobe flip. these pieces will help you get your new-season style transition off to a fresh start. some days you feel like dressing things up. other days you'd rather keep it casual. and then there are those strange days when you're not really sure what you're feeling... when you're stuck in-between. so what's the solution? do both. february's here and there are a ton of sweet drops on the site to love (and cop) right now. consider these picks my belated valentine's day gift to each of you. look 11: that weekend flow with suavs. every season, after #nyfwm, i basically go into total chill mode the following weekend. this time around, i had this new pair of suavs that i was gifted a few days ago to keep me comfy along the way. look 10: ports 1961 x everlast. the second half of my ports 1961 project was all about the brand's new collab with everlast. born in performance, but enhanced by style, the new capsule collection's available now and you have to check out the piece i got. look 9: my snow day with ports 1961.
earlier this month, i teamed up with ports 1961 for their #followme campaign and the shots came out really well—largely due to an impromptu blizzard. needless to say, i didn't let a few snowflakes (well... a lot) get in the way. i've found myself incorporating way more dapper elements into my looks than usual: suits, blazers, vests, all that good stuff. for this look, i kept it business casual at work with a sporty suited outfit featuring some fresh kicks from k-swiss. it goes without saying that a new year calls for new threads, so i thought i'd give you guys a little helping getting things off to a stylish start. check out my favorite picks from ASOS for the month of january. 5 looks x forever 21 men. I teamed up with my buddies at forever 21 for another quick collab—this time, to show off some new pieces from their #fw16 assortment. i put together five looks, grabbed my camera, and headed to dumbo to capture some sweet shots. look 7: a little nye shine. it goes without saying that every new year's eve requires a statement-making ensemble to welcome the exciting months ahead, and this time around, i felt like adding a little shine to things. need a little last-minute style inspiration for the holiday weekend ahead? i've been there. check out this super quick video (it's less than a minute) for three dope new year's eve looks to try right now. I thought it'd be a good idea to share a bit of my travel style from my recent trip to europe, so this look's straight from barcelona. a little pattern clashing + gold detailing = a sweet look for these spanish streets. fact: surviving the fall + winter weather requires a strong layer game. this season, i've upgraded my cold-weather assortment with a few pieces from uniqlo's heattech collection, and so far, they've been coming through like magic. check it out. that whole "no white after labor day" rule is foolish, in case you didn't know. winter whites are definitely a trend worth trying out, and I got the chance to put a quick look together for my recent creative recreation campaign. look 3: the casual friday approach. so, every now and then, i like to break out a slightly more dapper option. i had an early morning event on the upper east side, so i needed to look the part. what's in the box? calvin klein sculpted jeans collection. look 2: caramel cream + pink sprinkles. dusty pink is definitely building itself up to be a power player in my wardrobe this season. mixed with a variety of neutrals, the right backdrop and the perfect lighting, i'd say these shots came out pretty nicely. my buddy allen just dropped the fw16 collection for his label, òl new york, and the line offers a dope range of fall statement pieces you (and I) need to be rocking this season. look 1: all black + a pop of color. with the temperatures dropping fast, i can finally break out my favorite outerwear pieces. this neoprene biker from the wang x hm collab will forever be one of my go-to jackets. It's finally feeling like fall here in the States, which means if you haven't started flipping your wardrobe, you're way behind. These fresh drops will get your new-season looks started off right.